Rutgers has another conference matchup this weekend with a pair of home games against RIT! 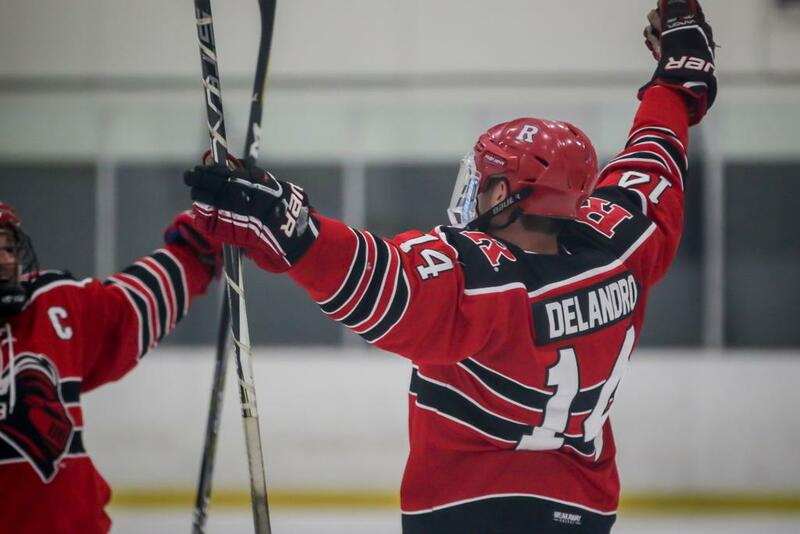 The Rutgers University Ice Knights (4-3-1-0) are ready to go for a good matchup this weekend against the Rochester Institute of Technology Tigers (2-5-1-0). This is the first meeting between these two teams and the Knights’ third series against a conference opponent. Rochester: the Tigers have played most of their games on the road so far. 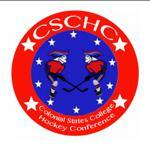 They opened the season with a 6-5 overtime loss to Slippery Rock, a game in which they tallied 56 shots on goal. Captain Michael Campbell also found the back of the net twice. They would earn their first win of the season the following day against Mercyhurst, 2-1; Andrew Short scored the game-winning goal in overtime. RIT then lost three straight, two to the U.S. Naval Academy and one to Villanova, all three games on the road. They then beat the Penn State University Berks 5-2, each goal scored by a different player. Last weekend, they faced Niagara and Canisius, and lost both games. Short currently leads the Tigers in scoring with seven points (3G, 4A) in eight games and Campbell follows with six (4G, 2A) in seven. Jacob Wexler and Joseph Harris have five points each. The Tigers have relied on goaltender Nicholas Amato in net; he has a 1-3 record in five games played, and has a 4.71 goals against average and an .889 save percentage (193 saves). RIT has also played Edward Abrams, Gavin Lewis, and Payton Hall; Abrams made 27 saves in the win over Penn State. Rutgers: the Scarlet Knights hold a 4-3-1-0 record. They swept Villanova to open the season (6-2 and 5-3) and split the series against conference opponents Cortland State and Oswego State. The loss to Cortland State came in overtime but they bounced back the next day with a 9-6 win. Against Oswego, they won the first game in a shootout thriller but fell 4-0 to complete the back-to-back. They played Stony Brook the following weekend and lost both games; they did not play this past weekend. Freshman Josh Kim currently leads Rutgers in scoring with 15 points (10G, 5A); he’s also tallied a pair of hat tricks and four shorthanded goals. Captain Griffin Privitera is right behind him with 13 points (4G, 9A) and has the most assists; Joe DeLandro is also producing at a point-per-game pace with eight points (3G, 5A) in as many games. Ian Zyvith has six (2G, 4A) followed by Tyler Gutierrez and Tyler Allen with five points each. Goaltenders Chris Fiorillo and Brandon Schellin have split time between the pipes for the Knights. Fiorillo has a 3-2 record, 4.90 goals against average, and an .880 save percentage. Schellin has a 1-1 record, 5.33 goals against average, and an .810 save percentage. Puck drops are scheduled for 8:30PM Friday night and 3:30PM Saturday afternoon at ProSkate Ice Arena in Monmouth Junction, NJ. The team won’t be home again until November 16th.